Check Out Our Comprehensive Selection of Realism Tutorials! These days there is an overwhelming demand for realism skills. Tattoo collectors are asking for countless variations on the realism theme, covering everything from straight-up family portraits to horror realism to surreal combinations of realistic imagery with other elements. It's sometimes hard to know exactly where to start with creating a toolbox of realist skills that can be applied to different types of client requests, so I wanted to take a moment to go over some of the great tutorials that we have available in our online store. One of the big hits of this year was Bob Tyrrell's Method to My Madness, which first appeared on DVD and flew off the shelves faster than we could restock it. The good news is that his class is now available in its extended format via streaming, with him walking you through all the steps of an epic portrait project. 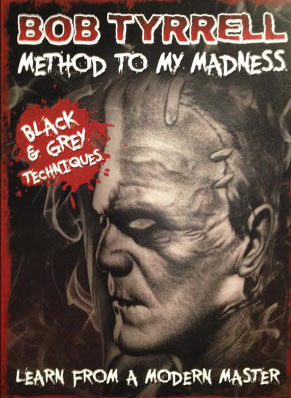 Bob is one of today's black & gray realism masters, so this tutorial is highly recommended. 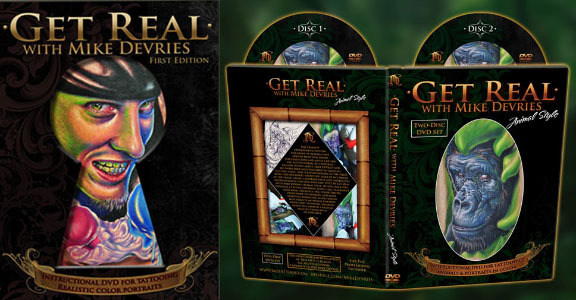 I spoke in detail recently with Keith Ciaramello, who has produced several realism DVDs in his Keep It Real series. This included both black & gray and color portraits, plus a color dog portrait (very handy to know these days!). In that spirit we also have an excellent animal realism course from California's Mike DeVries, Animal Style, showing the process of tattooing a realistic gorilla portrait. Mike also has an excellent human portrait course, Get Real with Mike DeVries, showing the steps in creating a fanciful and colorful portrait. One of the color portraitists that I've been blown away by recently is Alex De Pase from Italy, whose work combines great realism with just enough strength to make for a great tattoo. His DVD, Tattoo Techniques Applied To Realism, explains not only the step-by-step process of translating the image to skin, but also how to strengthen it and make it into a bold and readable tattoo. 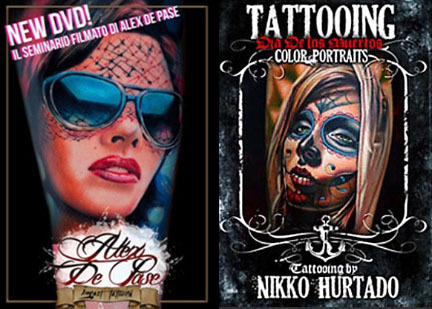 Nikko Hurtado needs no introduction, being one of the premier portrait artists in tattooing today; his DVD Tattooing Dia De los Muertos Color Portraits describes methods that are different but complimentary to Alex De Pase's course, with contrast and strength being high priorities. 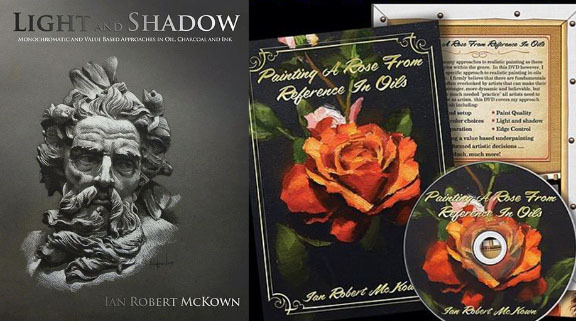 On a more fundamental level we have Ian Robert McKown's Light And Shadow, a book that details the use of strong shading to give your work power and realism. It focuses on practicing in alternate mediums besides tattooing such as charcoal, ink and oil paint, with straightforward and easy to follow instructions. Ian is a natural teacher who explains his methods clearly. He also has a DVD, Painting A Rose From Reference In Oils, that goes a step further where you can actually see the brush in motion, creating a stunning realistic effect that could be applied to many different styles. We're proud of the selection of instructional products that we have at Tattoo Education. The ones listed above just cover the realism end of the spectrum; drop by the Tattoo Education online store to see what else we have.